The Sunshine Coast is located in Queensland, on the north-eastern coast of Australia. 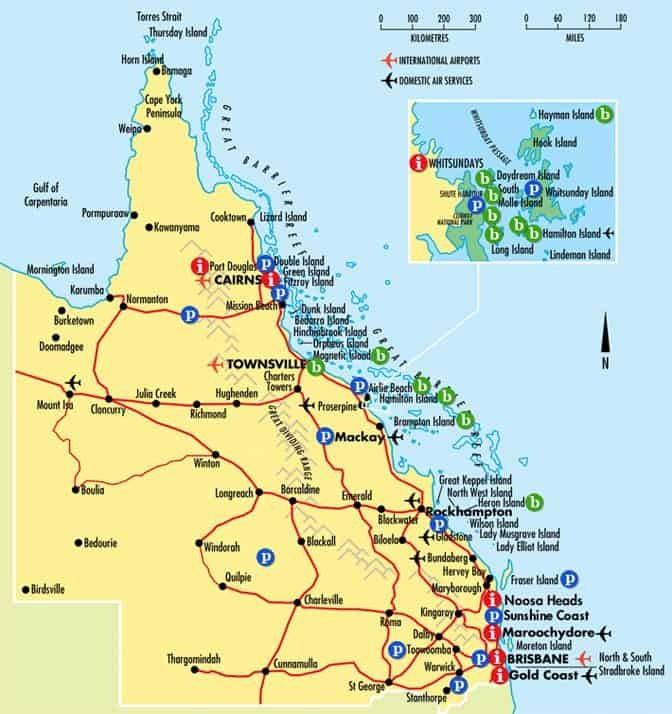 Located approximately 1 hour north of Queensland’s state capital of Brisbane, the Sunshine Coast spans approximately 60kms off the Pacific Ocean coastline from Pelican Waters to Tewantin. As a top travel destination in Australia, the Sunshine Coast has a range of activities and attractions within its borders which attract thousands of visitors each year. 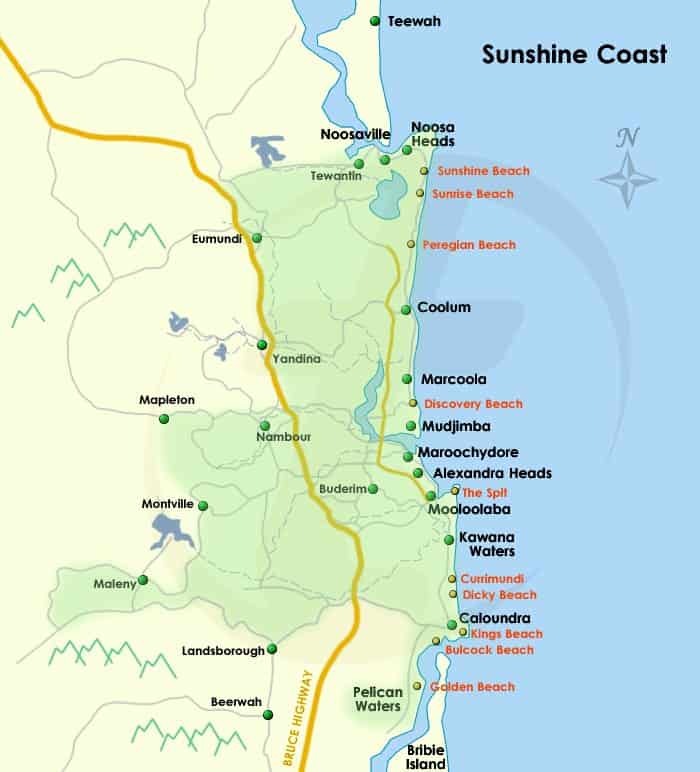 The Sunshine Coast region encompasses a number of beaches including; Noosa Main Beach, Coolum, Maroochydore, Alexandra Headland, Mooloolaba (the spit), Kawana Waters and Kings Beach in Caloundra. 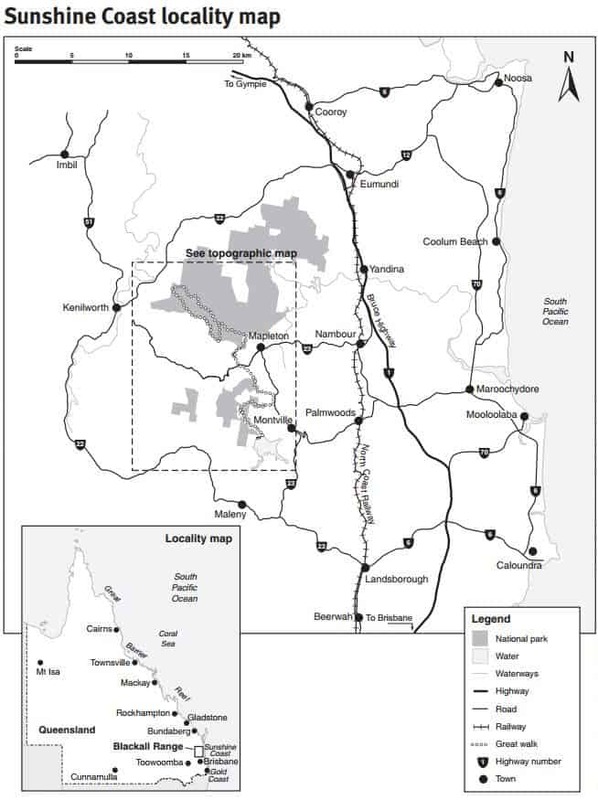 The Sunshine Coast also extends west to include a range of national parks in the green rainforest hinterland areas including; Mapleton Falls National Park, Kondalilla National Park, The Glass House Mountains National Park, Noosa National Park, and the Great Sandy National Park, which includes sections on Fraser Island and in Cooloola near Rainbow Beach. The Sunshine Coast also houses a wide variety of attractions which are popular with tourists including the Big Pineapple, Australia Zoo, Aussie World, the Ginger Factory and the Eumundi Market. 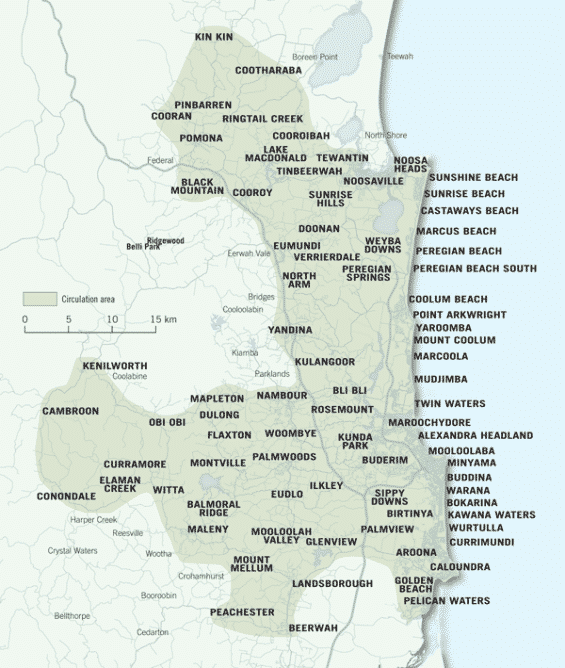 Click on the images below for a range of maps of the Sunshine Coast areas. This should you in orienting yourself before booking accommodation and planning activities and tours during your stay.